Jason Mandziak of Brampton is seen in this Peel Regional Police handout. 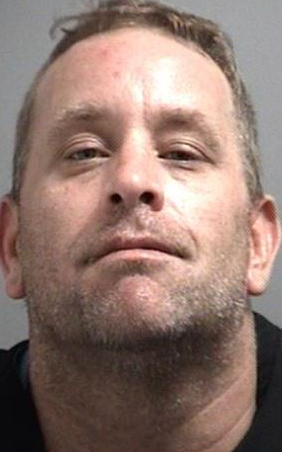 A Brampton man is being charged in relation to a parking lot robbery, and police say he may be conning people into handing over cash. Peel police say a suspect entered a man’s car outside of Trinity Common Mall on Oct. 24, demanding money. The suspect sat in the passenger seat, while a female entered the back seat, “adding to the fear of the victim,” say police. The victim was allegedly forced to drive to an ATM and withdraw $200, handing over the cash. Once the money was turned over, the suspects left the vehicle. Jason Mandziak – also known as ‘Fat Jay’- 40, is charged with robbery. He’s scheduled to appear in Brampton court on Nov. 24. Investigators are concerned there may be more victims, and are asking potential victims or witnesses to contact them. Anyone with information is asked to phone the 21 Division criminal investigation bureau at (905) 453-2121 ext. 2133 or Crime Stoppers at 1-800-222-8477.